Target Express is a 24/7 express delivery service. Dispatchers are always available to take your call. Target Express Deliveries is an express delivery service providing On-Time delivery service to New Jersey, New York, Pennsylvania, Massachussets, Connecticut, Delaware, Maryland and Washington DC. 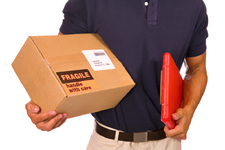 Target Express Deliveries is fast and reliable. Let us show you how a professional delivery service should perform. Our goal is to provide a level of service that will exceed your expectations.